It’s hard to believe that summer is over and Thanksgiving is just around the bend. Not only does the holiday give us a chance to connect with the people in our lives that matter most, but we also usually have a few extra days off work and school to delve into some much-needed traveling and relaxing. It’s time to pack those novels collecting dust on your must-read shelf, toss some clean clothes into a bag, and throw caution to the wind as you take to the road in a quest to satiate your wanderlust spirit. Need some travel inspiration? We brainstormed a few ideas for trips to take over the holiday break. Montana. Photo by Wendy Altschuler. Vacationing in northern Montana in November is optimal for those that need a breather from the masses and just want a little peace and quiet. The places that have fewer people, with less light and sound pollution, are the destinations with the most visible and audible nature experiences—a brighter night sky dotted with brilliant stars dancing overhead, haunting echoes of rocks skipping across a frozen lake, the thumping sound of snow as it plops off tree branches, and the wind as it whistles through the evergreens. Natural destinations like this give us the opportunity to slow down, take in our surroundings and a few deep breaths and enjoy our lives more fully. The four-diamond Lodge at Whitefish Lake has a spa, outstanding lakefront dining, a large outdoor hot tub, an ideal location between downtown Whitefish and Whitefish Mountain, and is one of the best places to stay in northwest Montana. The Boat Club lounge has a great variety of local beers, including brews from Whitefish’s Great Northern Brewing Company. 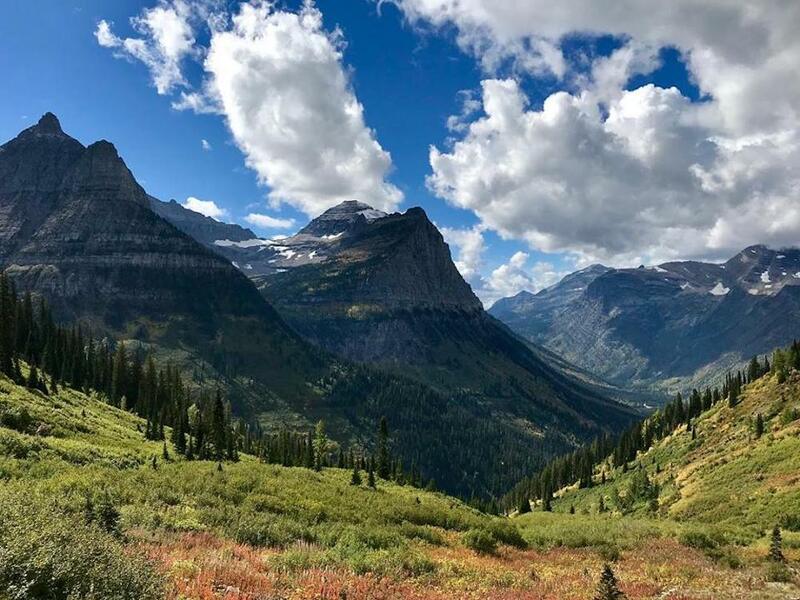 Take a short drive to visit Glacier National Park, an absolute gem in the cooler months. Go cross-country skiing or snowshoeing along Lake McDonald, enjoy a ranger-guided tour, and visit the Apgar Visitor Center. Horse-pulled sleigh rides at Bar W Guest Ranch are also available—a perfect outing for multigenerational families. New York City. Photo by Wendy Altschuler. 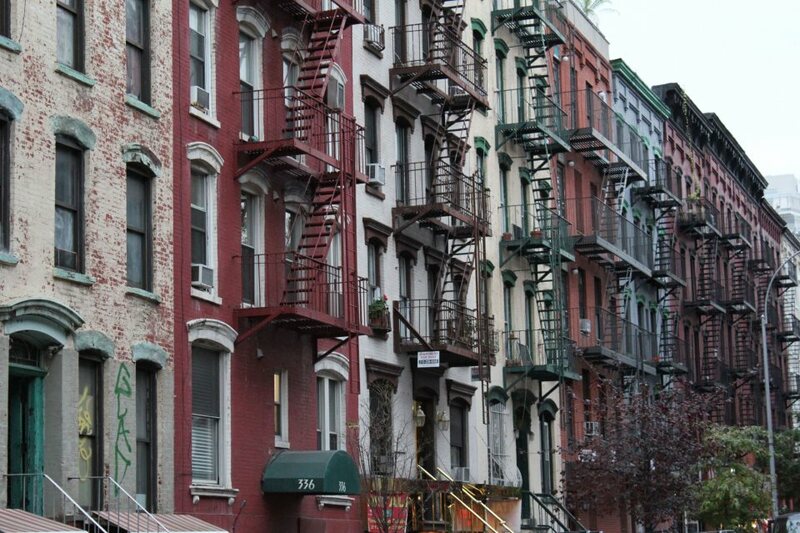 Few places are as magical and vibrant, with loads of character and surprises, as New York City. During Thanksgiving break, you’ll be awarded with crisp fall air, the famous Macy’s Thanksgiving Day Parade, a city lit up with holiday decorations and cheer, and temperatures hovering in the 60s and 70s. The New York City Marathon is also in November, which is an exciting time to cheer on runners racing through the city. Visit Rockefeller Center for the celebrated tree lighting and take a spin around the ice skating rink. You’ll never run out of things to do in the city that never sleeps. New York City is always electric and awake, and is a true family paradise—especially in the fall. Consider a trip to the Big Apple’s popular family museums like the American Museum of Natural History, Museum of Modern Art and the Intrepid Sea, Air & Space Museum. And, if Coney Island has been on your bucket list, fall is the time to finally check off this Brooklyn favorite. Visit the historic beach when the crowds fall away. See the Coney Island Circus Sideshow, Coney Island Museum and ride the rides and attractions on weekends until the end of October. The beach and boardwalk are open year-round and the famous Nathan’s Hot Dogs and the New York Aquarium are open almost every day of the year. The New York Marriott Marquis, snuggled into the heart of bustling Times Square, has large connecting suites and offers discounts and deals throughout fall. Sheraton New York Times Square Hotel, located within walking distance to Central Park, offers discounts on upgrades, breakfast and room nights. Skylonda Lodge. Photo by Wendy Altschuler. 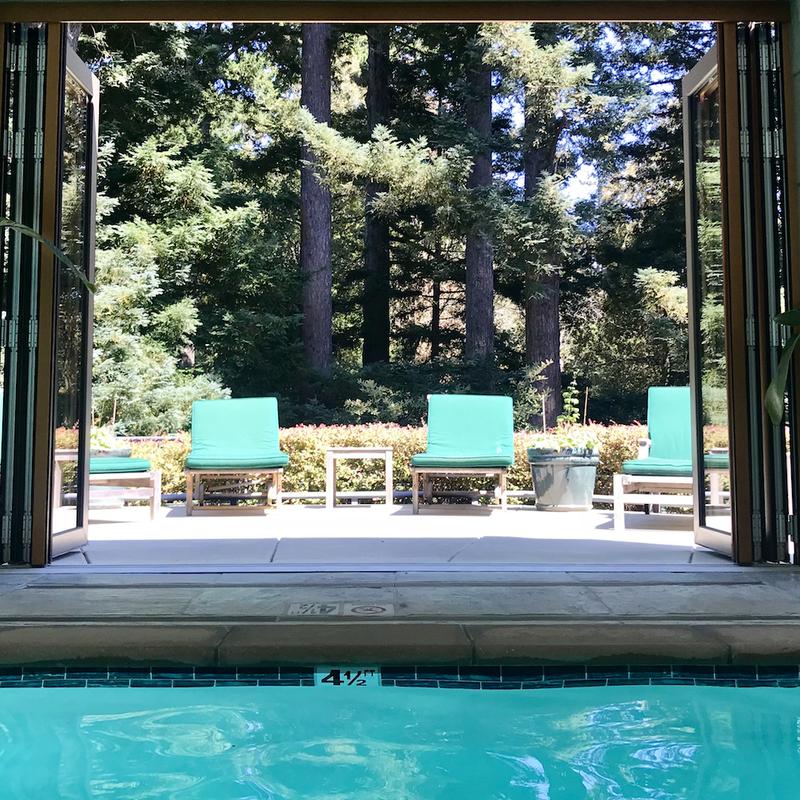 For those without young kids in tow—and in great need of connecting the dots between a healthy lifestyle and a strong need to walk among tall trees—you’ll want to plan a visit to Skylonda Lodge, located in the Santa Cruz mountains. Here, with the help of wellness experts, you’ll focus on self-care and the importance of a salubrious diet, sweat-producing exercise, mental clarity and happiness, nature wandering through old-growth forests, deep relaxation through yoga and massage, and community built through a we’re-all-in-this-together retreat ethos. Spend each night in one of the unique treehouses, surrounded by a redwood forest, overlooking canyon hiking trails. You’ll see mule deer, hear several different species of birds, and feel the sunshine warming your skin as you’re relaxing in a papasan swinging chair on your private balcony. The main lodge, where you’ll enjoy the healthiest and most colorful cuisine, also houses a saline pool, a hot tub, and a sauna. Nebraska. Photo by Wendy Altschuler. 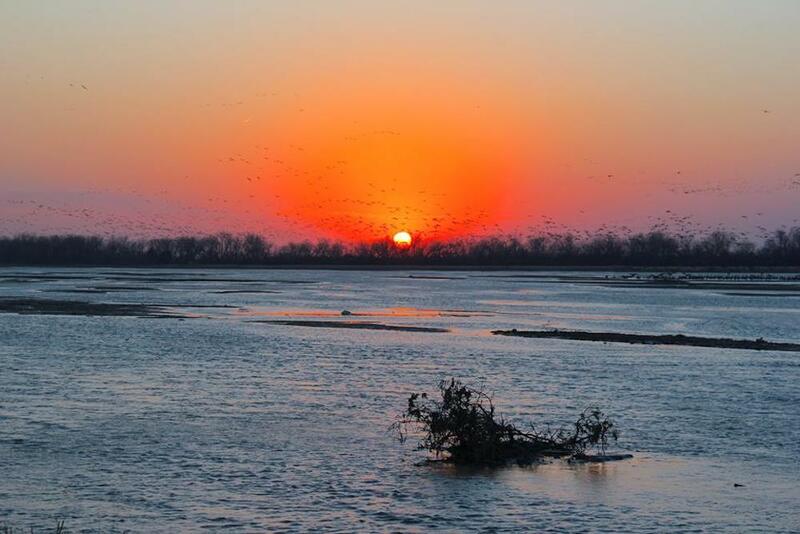 Nebraska might not be the first state that pops in your head when considering a Thanksgiving trip, and that’s exactly why you should visit. The location is a special gem, perfect for the intrepid traveler that wants to experience something authentic and different. The landscape covers prairies, bluffs, sandhills, and forests, and the two biggest cities—Omaha and Lincoln—are filled with museums, attractions, parks, and nightlife. Plus, Nebraska skies—especially toward the northern end of the state—are some of the darkest and best for viewing stars. Nature-filled highlights include: Chimney Rock National Historic Site, Toadstool Geological Park, Indian Cave State Park, Scotts Bluff National Monument, Smith Falls State Park, and so much more. Visit Grand Island’s Raising Nebraska, an interactive look at Nebraska’s agricultural process; Stuhr Museum, the nation’s best living history museum, also in Grand Island; Hasting’s Museum of Natural and Cultural History; and Kearney’s super cool Archway, a deep look into America’s westward expansion from the Pony Express to the Oregon Trail. Lodging options include: Hotel Grand Conference Center in Grand Island and Best Western Plus in Kearney. Kinkaider Brewing Company, in Broken Bow, has excellent Irish food, drinks, and live music; Odyssey in Hastings is worth a look-see; and The Alley Rose or the Coppermill Steakhouse in Kearney is a truly special epicurean night out. Why not visit the fourth largest state, a cosmopolitan cultural mecca full of museums, imaginative street art, dining, world-class shopping, one of the largest rodeos in the world, and—fun fact—the largest underground pedestrian tunnel: Houston. The Houston Museum District has 19 places to visit and, astonishingly, 11 are totally free. Contemporary Arts Museum Houston, Houston Museum of Natural Science, Houston Zoo, Museum of Fine Arts—all of the biggest and best are here. Plus, the city is still celebrating over last year’s Astros World Series win. More than 10,000 restaurant choices, with diverse global influences, are available in Houston—from ramen joints to food trucks to award-winning fine dining. Pay homage to Beyoncé’s hometown (while listening to Houston references in her music), eat some Tex-Mex, and visit the NASA Johnson Space Center. The cost of living is relatively low in this city, which means getting out and about is actually affordable. 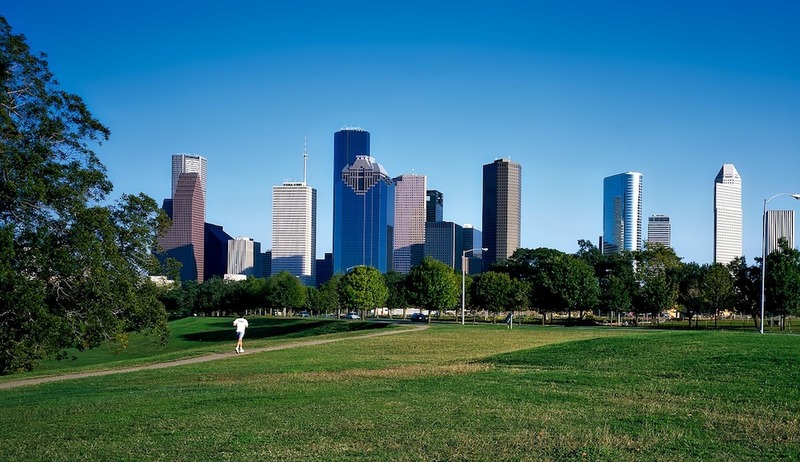 Of course, Houston has a number of parks—370 to be exact—and green spaces that are worth exploring. New hotel’s in Houston include: Hotel Alessandra, Hotel ZaZa, and Le Meridien.